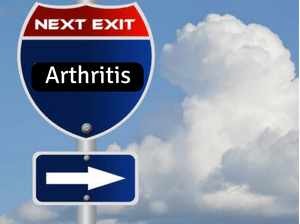 Stem Cell Therapy for Arthritis – What are the options? There are only a limited number of non-surgical options available in the treatment of arthritis. A large amount of treatments currently in use focus on providing symptomatic relief for the pain caused by arthritis, but do not provide a means to repair the damage that has occurred. For many patients, symptomatic management leads to a balancing of medications each day to achieve some degree of pain relief that may unexpectedly worsen. Regenerative stem cell therapy offers patients a new means of treating their arthritis without the need of daily medication or invasive surgery Stem Cell Therapy for Arthritis is one of them. What can Stem Cell Therapy for Arthritis do? Stem cells have been shown to have a number of unique abilities when it comes to tissue repair in an arthritic joint. First, stem cells can actually stimulate the body into growing cartilage that has been lost as a result of arthritic damage. This can help circumvent some of the most severe effects of arthritis and restore function to the arthritic joint while providing pain relief. 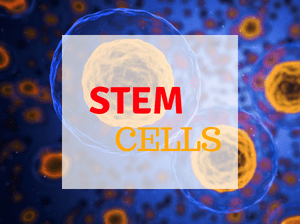 Stem cells are also able to assist in the repair of damaged muscle or ligament tissue, which is something the body naturally struggles with due to the limited amount of blood flow in these areas. While certain treatment methods already exist that can help lubricate the joint, such as hyaluronic acid injections, there is little to no effect in repairing or restoring damaged tissue. Stem Cell Therapy for Arthritis seeks to restore function and lubricate the joint directly by repairing and restoring tissue. What Stem Cell Therapy Treatments are currently in use? There are two types of stem cell therapy treatments already in use for the treatment of joint arthritis. The first of these is a direct stem cell injection into an area of damage with either a fat-derived stem cell injection or an amniotic-derived stem cell injection. Stem cells injected in this manner have the potential to grow into the type of tissue they are surrounded by, which can be very effective treatment in areas of tissue damaged by arthritis. The second stem cell therapy method that is seeing use is platelet rich plasma (PRP therapy) therapy. In PRP, a sample of the patient’s blood is taken and spun in a centrifuge to separate it into its base components. 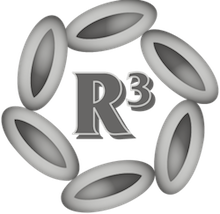 Following separation there will be a concentration of plasma rich in platelets, which are a combination of growth and healing factors found naturally in the blood. This platelet rich plasma will be made into an injectable and injected directly into the joint where it will affect the area in two ways. The platelets injected will directly stimulate the healing process of the area by introducing a large amount of growth and healing factors that would otherwise not be present. Secondly, the injection will cause an inflammatory response by the body and trigger an immune response. This trigger causes an increase of blood flow to the damaged tissue, further providing healing and growth factors to the area. Each of these methods is a quick, safe, non-surgical procedure that can offer patients pain relief immediately. Stem cell therapy for arthritis is cutting edge, and Telehealth offers the treatment with Board Certified doctors. The treatment is often covered by insurance, with preauthorization being necessary to check. In order to delay or avoid the need for joint replacement and obtain pain relief, stem cell injections may help. They are low risk, outpatient and often effective. Call (888) 828-4575 for more information and scheduling with the top stem cell therapy in California today!